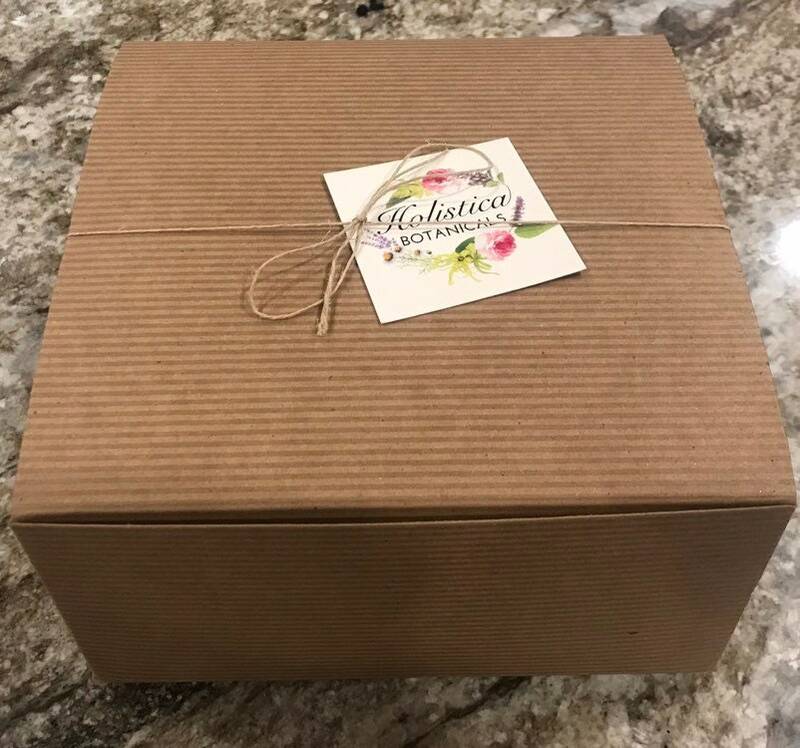 Complete Facial Kit for ultimate pampering at home. 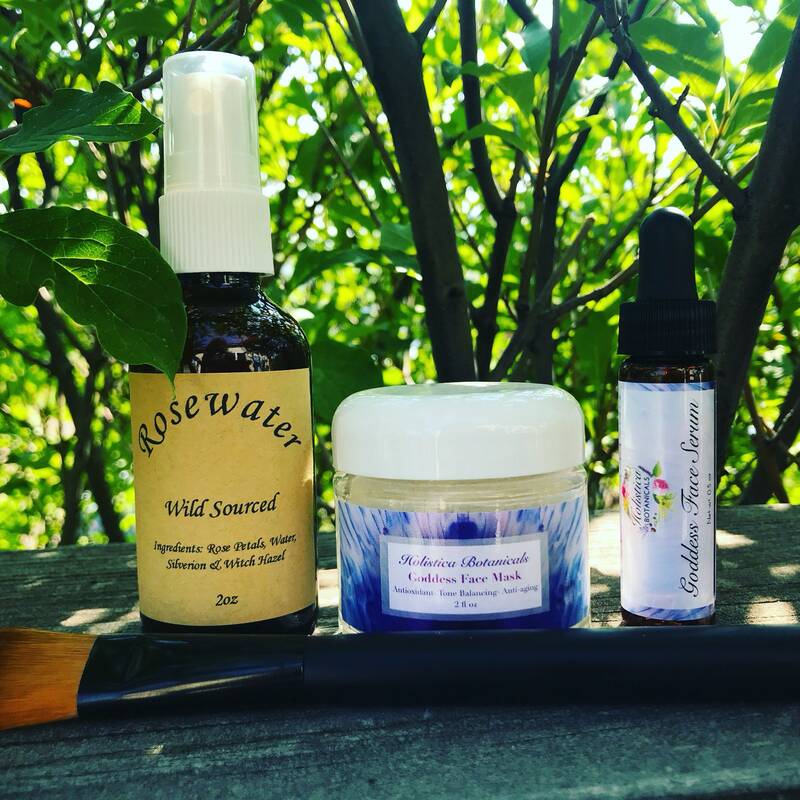 This kit comes with a Goddess Face Mask, Goddess Face Serum, Brush, and Wild Rosewater. Pamper yourself with an organic facial at home and many more to come. is a luxurious blend of natural clays and organic ingredients. 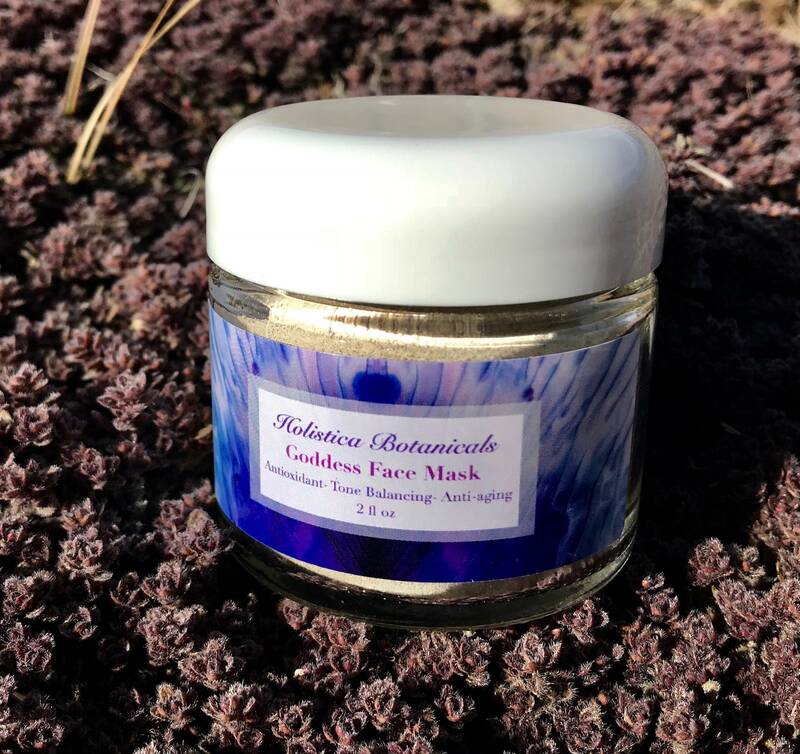 This mask is blended to rejuvenate your skin, provide anti-aging effects, balance tone, and gently exfoliate your skin. 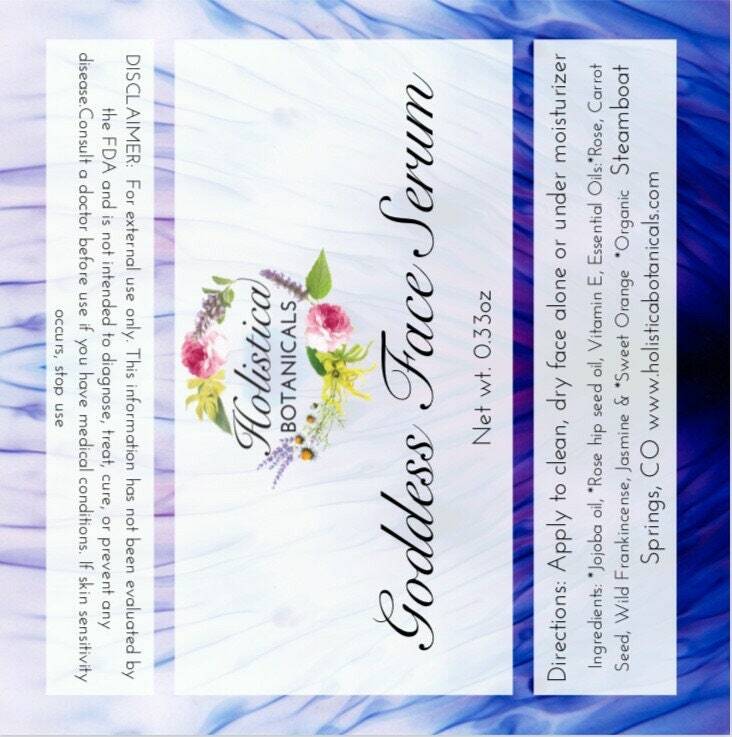 is a luxurious blend of organic carrier oils and pure essential oils that hydrate, balance and rejenerate your skin. This blend is non greasy, absorbs quickly and leaves your face radiant and fresh. 1. Super-Hydrating. It is light and easily absorbed into skin. 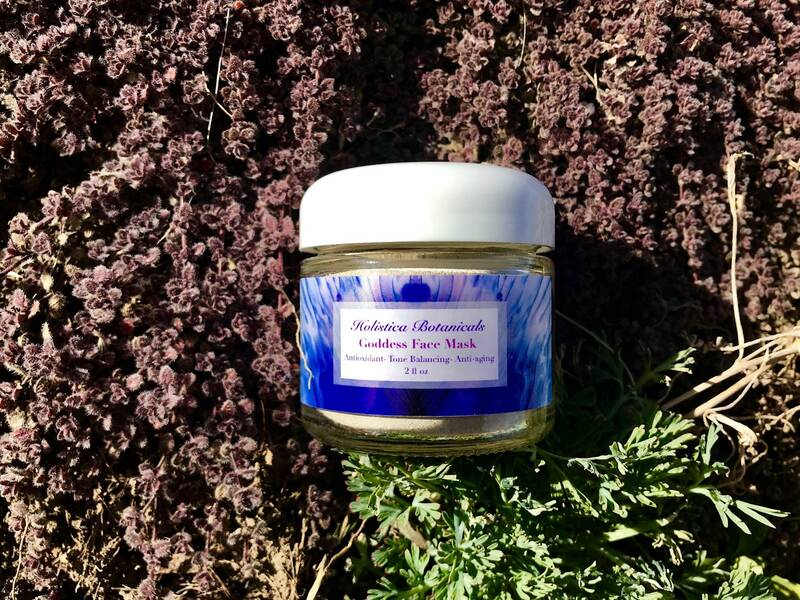 It deeply penetrates to soften and provides a moisturizing effect and healthy glow. 3. 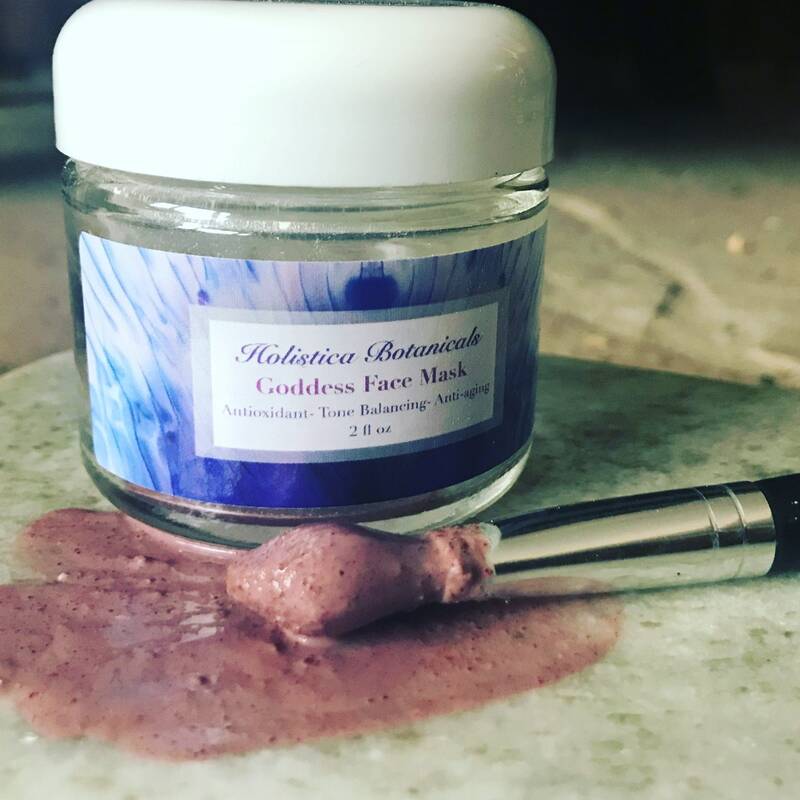 Nutritious for Skin full of nutrients like Vitamin E and B, as well as antioxidants and minerals like chromium, copper, and zinc, which all nourish and protect skin. 4. Anti–Aging Jojoba can help slow down the appearance of aging, and help to fade fine lines and wrinkles. 5. Non-Acnegenic. Because Jojoba oil is very similar to human skin oils, its use can trick the skin into thinking it has produced enough oil and thus balance oil production, without promoting acne or other skin problems. Jojoba also naturally deters microbes, helping to prevent the growth of bacteria on skin. 6. Soothes Sunburn Soothes sunburn and helps reduce the chances of peeling. 7. Gentle & Non-Allergenic. Jojoba oil is recommended for people with sensitive skin because of its gentle nature. Applying Jojoba oil to compromised skin can help reduce flare-ups. 8. Soothes Dry Skin. Jojoba oil has anti-inflammatory properties which help to tame chaffing and chapping. The Vitamin E and B-complex vitamins in the Jojoba oil help in skin repair. 9. Anti–Microbial. Jojoba oil naturally deters microbes, helping to prevent the growth of bacteria on skin. 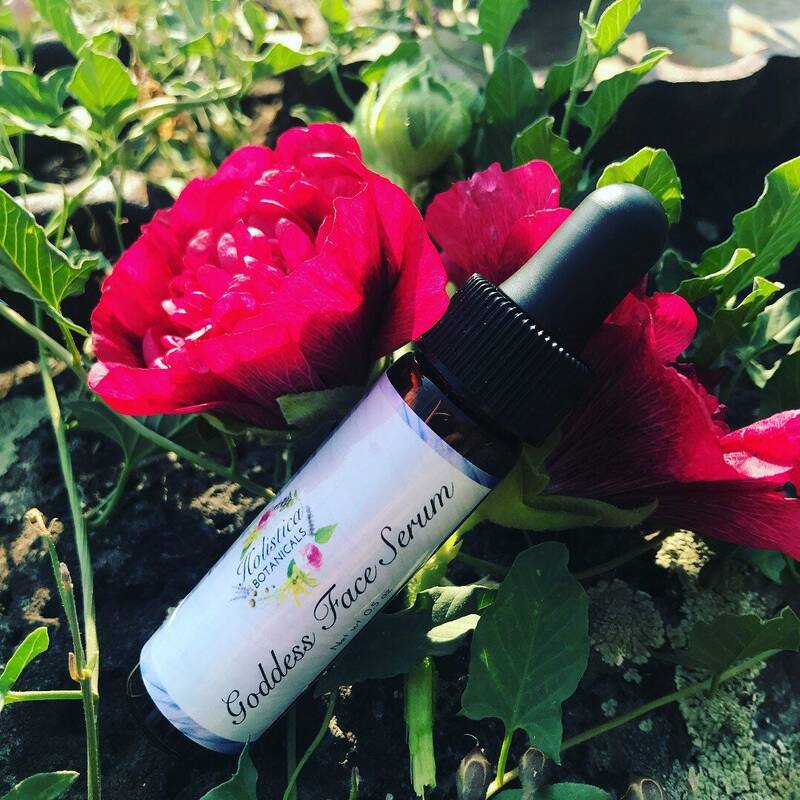 Anti Aging Effects- With skin rejuvenating properties like vitamin C, vitamin A and lycopene, rosehip seed oil repairs the skin’s surface, restores elasticity and protects against sun and pollution stressors that can lead to wrinkles. 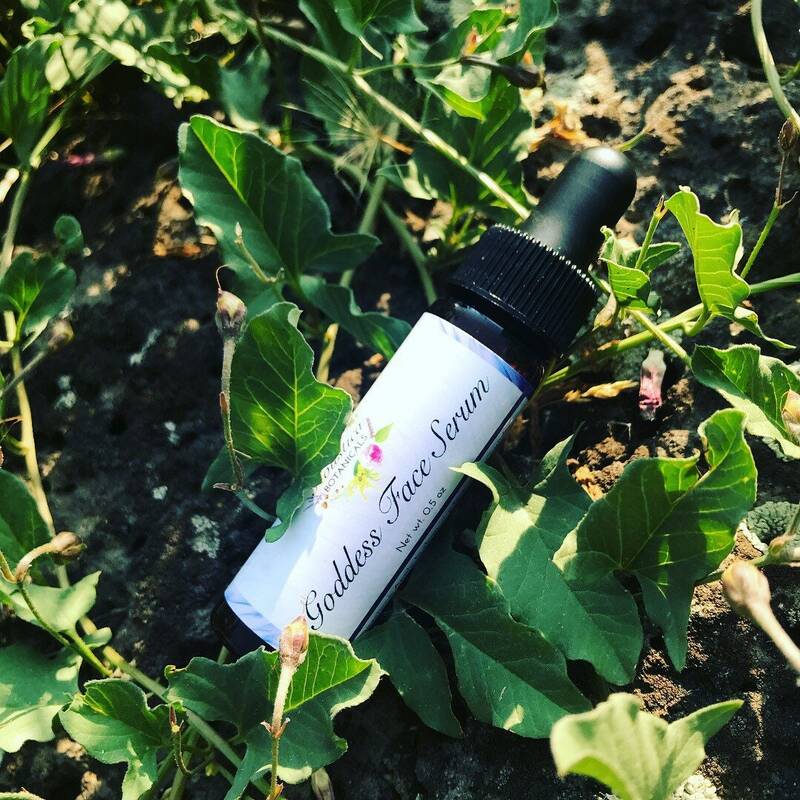 Essential Oils of Organic Rose, Carrot Seed, Wild Frankincense, Jasmine and Sweet Orange provide antioxidant, cell regenerating and radiant skin effects, plus the smell amazing too! 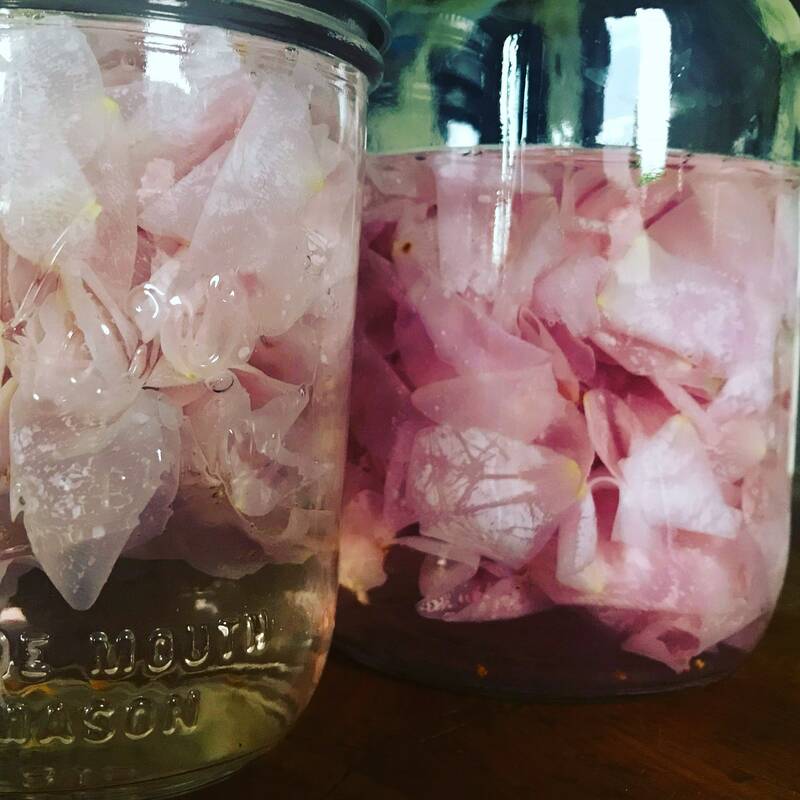 Fresh Rosewater made from handpicked Wild Local Roses. Preserved with Silverion and witch hazel. 2 oz in Amber glass bottle with mister. Most rosewaters are made with oils, infused oils or extracts. This is a true rose hydrosol therefore requiring the silver for preservation. 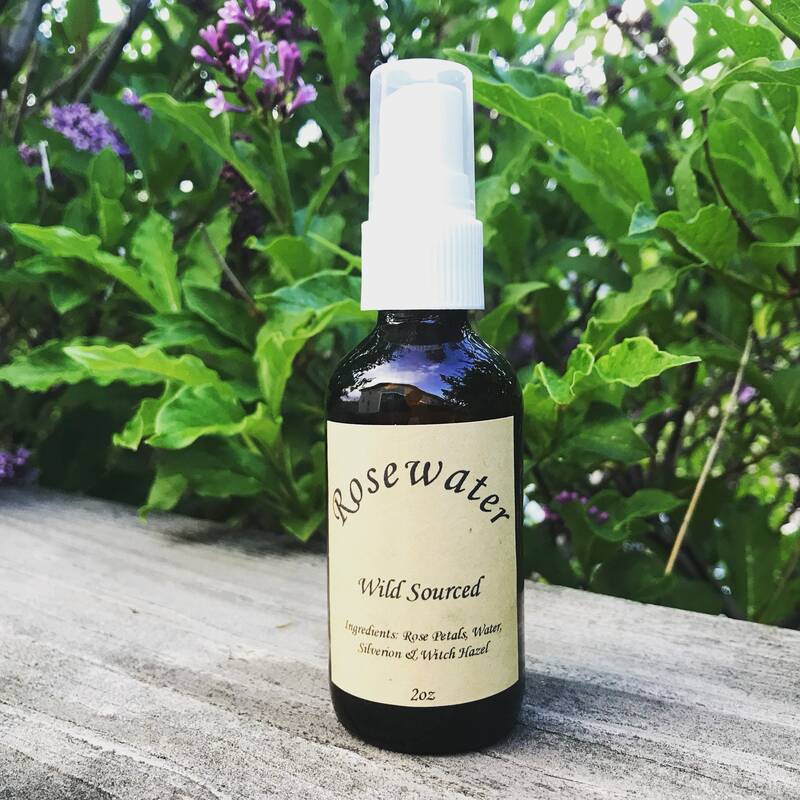 Most rosewaters are also made with roses that have been sprayed with pesticides. These roses are hand picked in the wild and free of any chemicals or pesticides. Pure Organic at it's finest!